Mrs. Ruth Kanyaruju handed over a 10000-liter water tank and said that the SWAS clubs are an initiative of the Board and management of NWSC. KABAROLE – The National Water and Sewerage Corporation has launched the school water and sanitation clubs at St. John’s Yerya in Kibito town council-Bunyangabo district, greater Kabarole. The school water and sanitation clubs (SWAS) is a CSR initiative by NWSC aimed at inculcating values of safe water use, hygiene, sanitation and environmental protection among the school going children of the nation. The club with over 20,000 members in more than 400 schools across the country has an aim of grooming a generation that will be responsible for our water resources and the environment in the country. 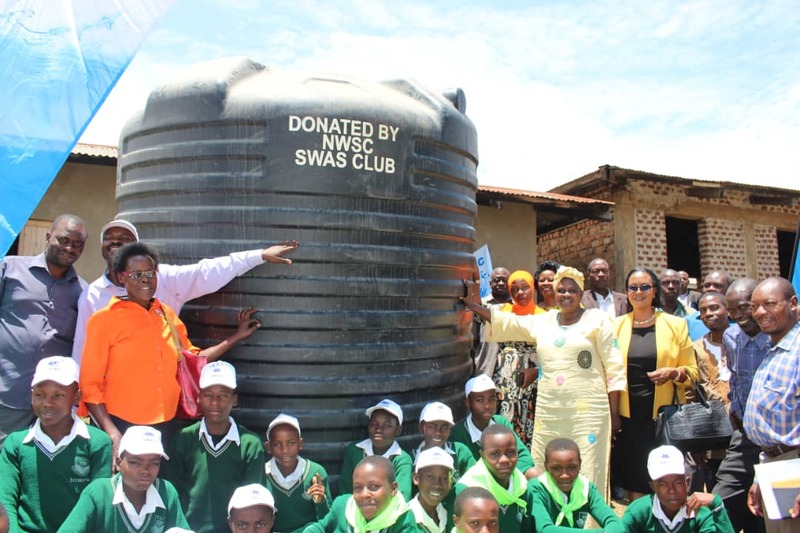 Handing over a 10,000 liters capacity water reservoir to the new school club, NWSC vice board chairperson Mrs. Ruth Kanyaruju said that the SWAS clubs are an initiative of the Board and management of NWSC. 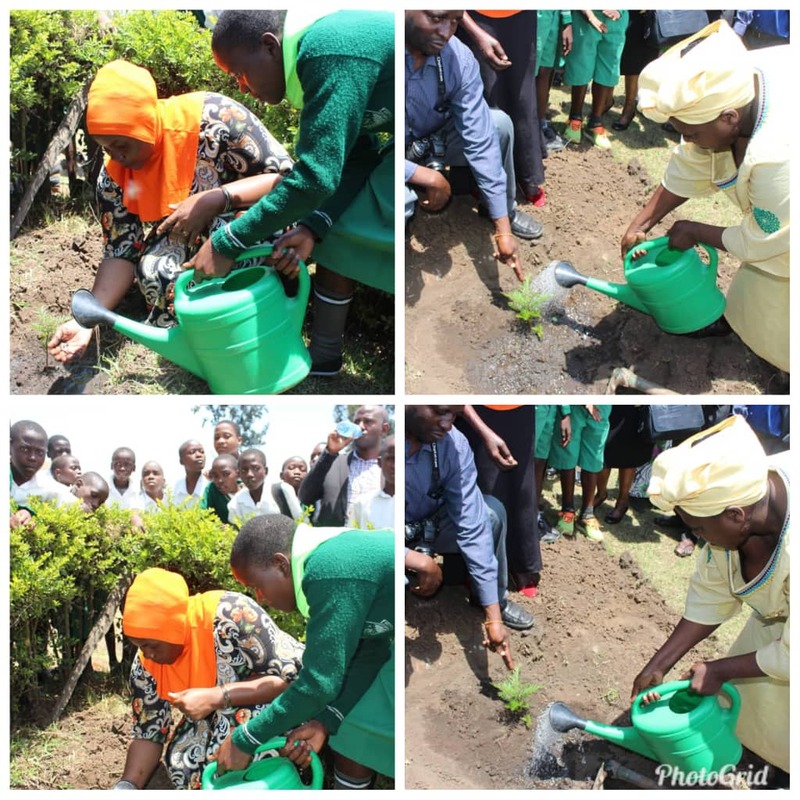 Kanyaruju added that the young people will help to spread the gospel of safe water use, sanitation, report leakages, water theft, plant trees, preach against swamp reclamation and other concerns. The young people will be our brand ambassadors in the future.” she said. 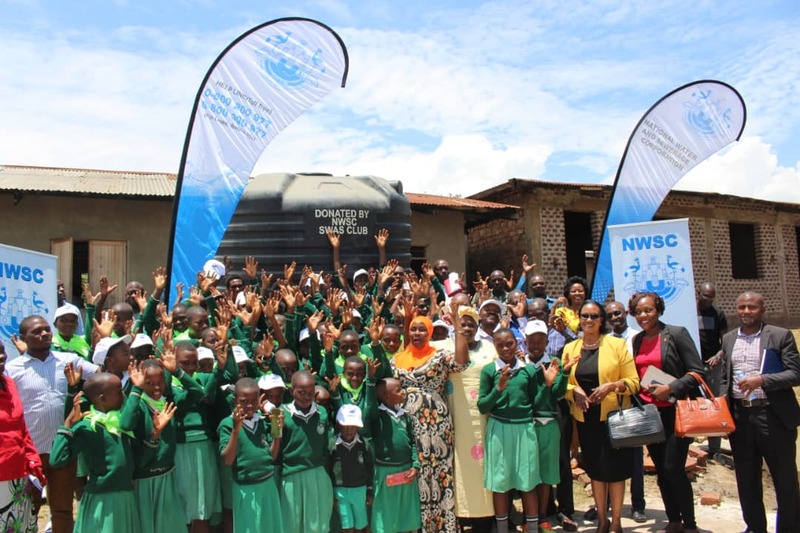 Sensitizing the pupils at the school, NWSC Deputy Managing Director Board Affairs and Management services Miss Edith Kateete urged the students to protect the environment and use the water connections at the school to improve their personal hygiene and health. Kateete said that NWSC will continue to support the education sector through the SWAS clubs. Kibito town Mayor Jibb Tugwezire thanked NWSC for the all-round development efforts in the country. The mayor added that the members in the club will help promote good values in their homes, at school, and in the entire Bunyangabo district. LC.1 Yerya appreciated NWSC for extending services in Kabarole district. Miss Jane Kabagenyi the Primary school head teacher thanked NWSC for giving back to the education sector and its customers.